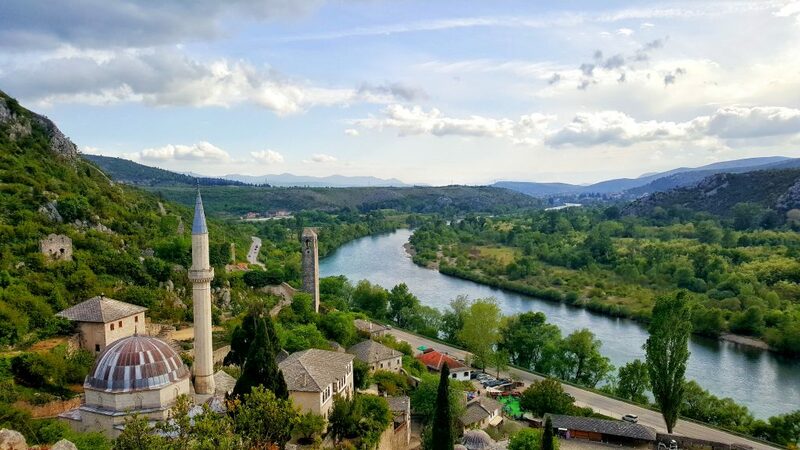 What exactly is it that makes our trips to Bosnia so special? Could it be that we organise all your transport throughout your stay, or that we take you to the best local halal food places? Perhaps it’s the daily trips to stunning landscapes and historic sites? 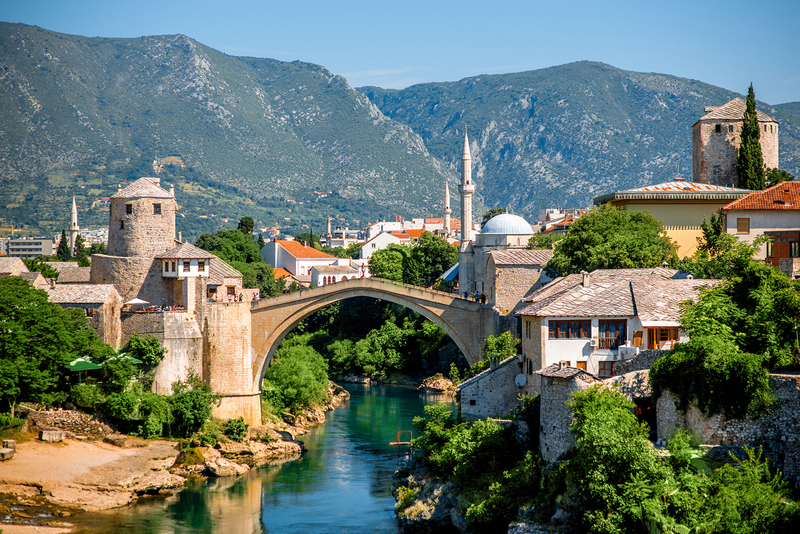 Wherever you read about Mostar, visiting the Old Bridge will always top the list of must-see landmarks. Built under the orders of Sultan Suleiman in 1557, a first glance at the bridge’s curved structure makes it obvious why it is so loved by historians and travellers alike. The original bridge managed to remain intact for the best part of 450 years until the terrible war in the 1990s, when it was shelled. Locals say that it took over 60 shells before the bridge finally collapsed; a testament to its fine Ottoman workmanship. That’s right, no British health and safety rules here! Gather round the highest point of the bridge where brave jumpers will queue to hurl themselves into the cool jade waters of the Neretva River. While it looks pretty dangerous, it is considered a national pastime and is a great way to experience Mostar’s bubbly culture. However, only experienced jumpers are advised to take part. Hover over the panels below for more information! 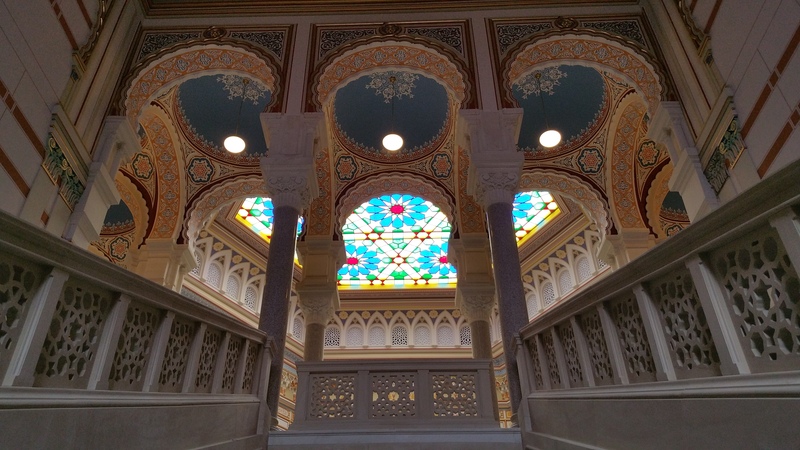 You will be spoilt for choice for halal restaurants in Mostar. Many restaurants serve halal meals – you only need to ask the waiter if there is ‘halal’ to know. Enjoy warming soups, flaky pastries (bourek) and flavoursome chicken. Praying in a masjid in Mostar is very easy and enjoyable, because so many are hundreds of years old but remain well looked-after. 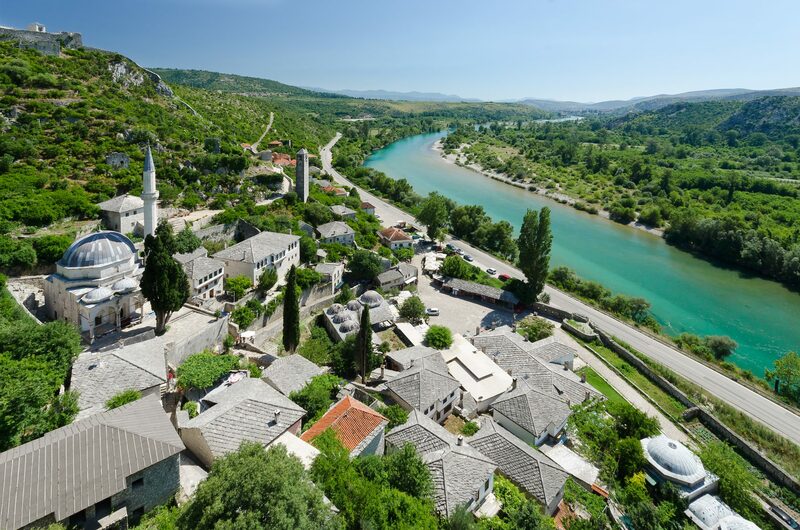 Immerse yourself in history by praying where the Bosnian ancestors once stood. Find your nearest mosque in Mostar now.